Every empathic act that helps children become what he or she wants to become, every expression of love toward children heals society and moves it in unexpected wondrous new directions. 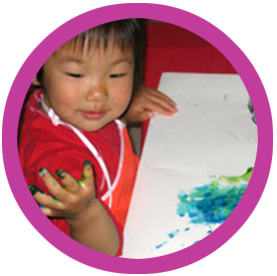 Montessori Bambini in Vancouver is a stimulating, home based learning environment employing authentic Montessori principles. We offer curriculum that is internationally recognized and implemented in schools across North America and around the world. Our small group size allows for more individual attention for each child. Our meticulously prepared environment nurtures, feeds and satisfies the needs of your child’s development enabling them to reach their fullest individual potential. The unique balance between work and play creates an atmosphere of security, joy and belonging which extends beyond school hours. Friendships gained at Montessori Bambini have created a community consisting of former and current students and their families.